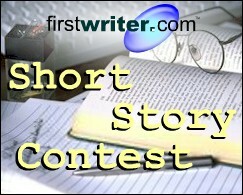 This month, firstwriter.com has announced the winner and special commendations of its Second International Short Story Contest, as well as releasing Issue 9 of firstwriter.magazine, Raindrops. Gabriela Blandy, of Salisbury, United Kingdom (currently resident in Mexico), was announced as the winner of the competition for her short story "Pistachios for a Lost Mermaid", and wins £200. The winning story can be read online at https://www.firstwriter.com/competitions/poetry_competition/previous_winners/2ndstory.shtml. Nanette Littlestone, United States, "Falling for Jenny". The latest issue of firstwriter.magazine has also just been released, featuring quality fiction and poetry submitted from around the world, plus your first chance to see not just the winning poems from our Fourth International Poetry Competition, but also all ten Special Commendations. To view the magazine click here. To enter your work in our Fifth International Poetry Competition click here. All those whose work has been included in issue 9 have now been notified, so if you submitted work for issue 9 and have not received notification of inclusion then, regrettably, on this occasion your submission was not successful. Please do feel free to try again, however, through www.firstwriter.com/Magazine. We have now begun accepting submissions for Issue 11. Every author wants to have his/her book reviewed. It’s a good way to get exposure for their books and exposure computes into sales. With the rise in the number of new authors each year, there’s a greater need for book reviewers. You can join a stable of book reviewers at a book review Web site or magazine such as Midwest Book Review (www.midwestbookreview.com), Richmond Review (www.richmondreview.co.uk), Complete Review (www.complete-review.com) or Historical Novel Society (www.historicalnovelsociety.org). Alternatively, consider contacting Kirkus Reviews Magazine, Bibliophilos, Book Magazine or Library Journal about writing reviews for them (contact information below). As a matter of fact, Publishers Weekly is currently seeking reviewers (www.publishersweekly.com). Submit reviews to general magazines that publish reviews or magazines dedicated to a specific interest: horses, gardening, memoirs, parenting, romance or travel, for example. If the magazine doesn’t already publish reviews, suggest a book review column. This is particularly feasible with a newer magazine. Here’s a partial list of magazines with book review columns: Grandparents Magazine, Mothering Magazine, Today’s Christian Woman, Fine Gardening, Christian Home and School, African Voices, Indiana Review, and Iconclast (contact information below). Alternatively, offer to write and submit reviews for authors for a fee. I’m currently paying a couple of writers to write reviews and submit them to appropriate magazines, newsletters and websites. Of course, if the magazine pays for submissions, the reviewer makes even more on the deal. Some website managers and magazine / newsletter editors post or publish reviews, but they don’t do the reviews in house. This is a great opportunity for someone who likes to read, has an opinion, is good with detail, is a skilled writer, and knows how to hustle work. Choose books carefully. You might be better at reviewing the type of books that you are accustomed to and enjoy reading: mysteries and true crimes, young adult novels or nonfiction books in a particular subject, for example. Make notes while reading the book. I frequently review books related to writing and publishing for SPAWNews (the newsletter for SPAWN &ndash; Small Publishers, Artists and Writers Network). While reading the book, I note passages that I particularly like, areas where the material is especially strong (or weak), chapters where I find unique or important bits of information and so forth. I note the way the book is organised, whether it is well-written or not, what makes it appealing or useful, why this book is different and who will benefit from the material in this book. Reflect on the book. When I finish a book, I spend a few moments or hours thinking about it. How did it affect me? What were my impressions? What is the point and the purpose of the book &ndash; to teach / educate, guide, inform, inspire or entertain? Did the author fulfil his promise to readers? A book review is meant to help other people decide whether or not they want to or should read this book. A book review is a summary of the book. It describes the book and provides potential readers with both the positive and any negative aspects of the book. Most of us have written book reports. A book review differs from a book report in that, not only does it tell about the book, it also critiques it. I often complain, in my book reviews, when a good reference book for writers doesn’t have an index, for example. What is your job as a book reviewer? Point out the appropriate audience for the book. Who would benefit most from this book or enjoy this book most. I won’t recommend a cutesy book of cat-inspired writing to a beginning writer who is seeking information. Likewise, I won’t suggest that an experienced author should read a basic book written for new writers. Reviewers for my book, The Right Way to Write, Publish and Sell Your Book typically say that this book is for anyone who is interested in writing a book. It’s not for freelance writers who have no desire to produce a book. It’s not necessarily for seasoned authors. But it is for the hopeful or the struggling author and this is how most reviewers describe it. Write something fresh about the book. I’ve had people write reviews for my books simply by copying the back cover matter. That’s a rather lazy approach. Be creative. Have fun. Come up with material that is unique and interesting, yet appropriate. Be creative in choosing a style for your review. For fiction, you will probably want to evaluate characters and the plot. For nonfiction, analyse how complete the book is, whether it is useful and well-presented. If you review books in a category that you are familiar with, you’ll be more qualified to define the book’s strengths and weaknesses &ndash; what works and what doesn’t. What if you hate the book? Not every reviewer (or reader) is going to like every book. And the more familiar you are with the genre that you are reviewing, the more critical you will become. You know what you like. You know what touches you, makes you think, makes you laugh or cry. Sometimes you’re going to read a book that you really don’t like. What do you do with that? Either refuse to review the book or go ahead and review it revealing what you think would make it better. Many books are POD today and, if you firmly believe that your comments are important, maybe the author would consider making changes with the next printing. Perhaps the book just isn’t your cup of tea or maybe it truly does have some problems. If you choose to review a bad book or one that you hate, you can do it in one of two basic ways. Either bash the book or use the sandwich method. That is, mention a positive aspect of the book, then reveal your negative point of view and then end by stating something good about the book. If the magazine you’re writing for really likes critical reviews, go ahead and bash the book, if you want and if you think it deserves it and if you don’t mind the possible consequences. I produced a book a few years ago in which one paragraph was repeated. Hours before the book was to go to the printer, I made a change. I asked my typesetter to move a paragraph. He did, but neither of us noticed, during our last “too” quick look, that he neglected to remove the paragraph from the original spot. One reviewer really bashed that book. She saw the repeated paragraph and that was all she focused on throughout her entire review. It was like she had gotten up on the wrong side of the bed or that she had a vendetta against someone &ndash; me? Or what I or my writing represents? She practically told readers that they should not read this book because of the numerous repeats throughout the book. If you see something you don’t like or that is blatantly wrong with a book you are reviewing, mention it if you must &ndash; especially if you feel that readers would be affected in some way by the message, information or presentation. But, if you see value in the book, talk about that, as well. What else should you include in your book review? Write a book review in essay form. It should have a beginning, middle and end. It should be written clearly and concisely. You’ll describe the book and reveal who the book is for. Sometimes the author doesn’t make this obvious and you’ll have to make that call. Include the author’s qualifications for writing this book. Is he the author of 25 other mysteries? Is she an attorney? Are they practicing psychologists? In the case of my own books, reviewers always refer to my extensive background in writing and publishing. A book review generally encompasses 150 to 300 words. Some magazine editors or webmasters might request one that is longer. Before you finalise the review, always make sure that you list (either at the beginning or the end of the review), the full title, subtitle, author’s name, publishing company, ISBN, page number, price and ordering information. Writing book reviews isn’t for everyone. I believe you must have a love of books &ndash; at least the type of books you are reviewing. You really should have a fairly optimistic, positive, but realistic outlook. It’s important that you can project from an appropriate audience’s point of view. Having good writing skills is a major plus. Writers are invited to contribute to a novel which is being put together, which will include the work of dozens of writers, each contributing snippets of just 500 words. The organisers are currently searching for an opening piece. To enable the first writer to set the scene, initial characters, etc. this section may be up to 1,000 words. Entries are invited from new and published writers for a picture book text suitable for younger readers. Illustrations will not be considered and should not be submitted. The entry fee is $5 and the first prize is $300 (Australian dollars). The winning entry will be announced on November 22 at enterprisingwords.com and in the December issue of Buzz Words. Manuscripts must be professionally presented and be received by September 18, 2006, with entry fee and SASE for results. For more information, contact Di Bates, PO Box 2116, Woonona East NSW 2517 Australia. For more than 200 other competitions, click here. New webzine, Rokovoko (rokovoko.blogspot.com) seeks short stories, essays, poetry, and book, theatre, film, and music reviews. Top-notch original or first-serial material only. Rokovoko doesn't offer payment, but will link bylines and authors' notes to book or promotional web pages, etc. For the details of over 650 other magazines, click here. Creative nonfiction is sought for a new venture, selling "How-To" books that "burst with personality". Topics can include hobbies, skills, and should be presented in a creative fashion that makes the experience fun for your reader by shaping it with your own unique personality. Your "How-To Scrapbook" should feel very different from another author's submission regarding scrapbooking. Manuscripts should be between 50,000 and 70,000 words, and royalties will be above-average for accepted authors. For more information contact Q. Elbert at lid_inc@yahoo.com.